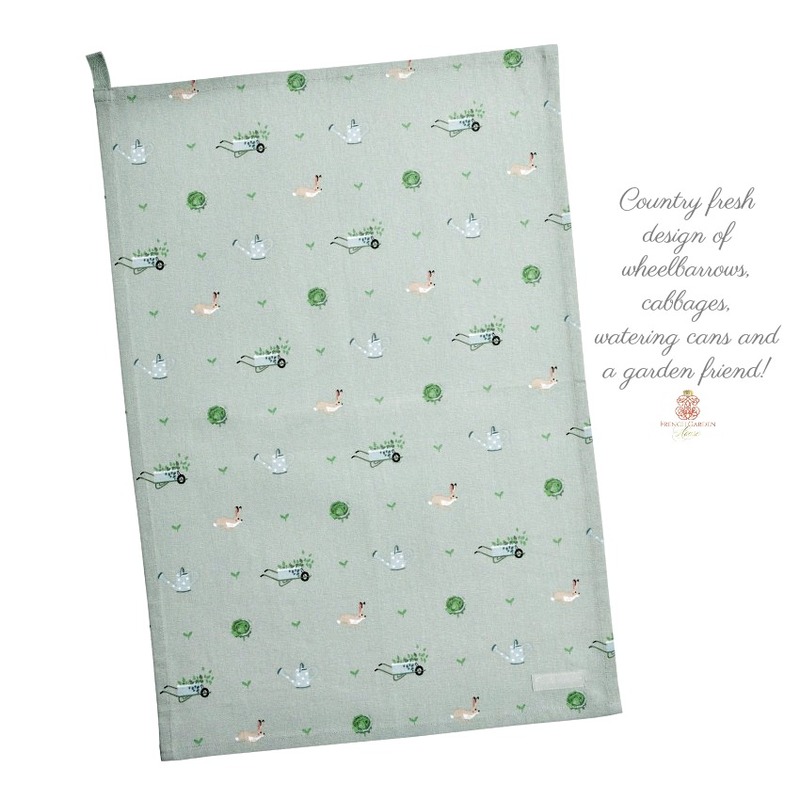 This Country Gardener Tea Drying Towel has a charming decorative design of rabbits, wheel barrows, watering cans, cabbages and seedlings on a light green background. Sure to brighten your days, I love these in our French Country kitchen, especially in the spring! 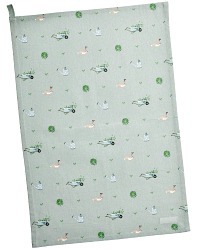 Each has a handy hanging loop, you can also use these as an extra large napkin for "messy meals." 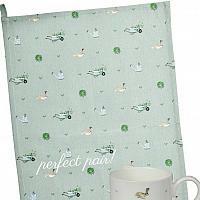 A wonderful host or hostess gift, wrap around a bottle of wine or present this with a bottle of luxury dish soap! 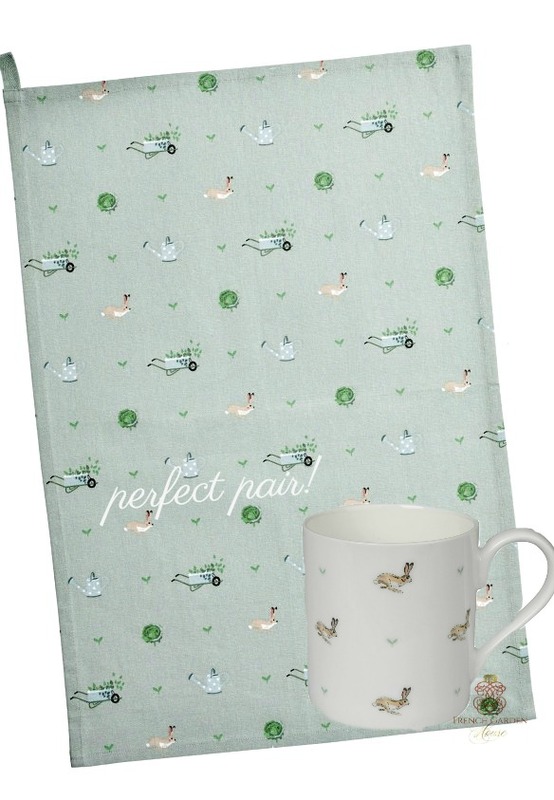 Machine wash. Co-ordinates beautifully with our Country Rabbit Mugs!